Hendrick Motorsports has won the last three Playoffs races at Martinsville since the “win and advance” era was implemented in 2014. Dale Earnhardt Jr. visited Victory Lane at the .526-mile track after he was eliminated from the Playoffs in 2014. Jeff Gordon won at Martinsville for a ticket to Homestead in 2015 and finished third in the final standings. Last year, Jimmie Johnson won the Round of 8 race at Martinsville on his way to the Monster Energy NASCAR Cup Series championship. Brad Keselowski might have Martinsville figured out. He won the last race at the track affectionately known as “The Paperclip,” has finished second or better in three of his last five races there and has placed fifth or better in four of his last five races there. He’ll go for the season sweep at Martinsville Speedway in Sunday’s First Data 500 as he tries to join Kyle Larson (Michigan) as the second driver to win both races at a Monster Energy NASCAR Cup Series track this year. In 15 career starts at Martinsville, Keselowski claims one win, five top fives, nine top 10s and a 12.9 average finish. Keselowski, who has never advanced to the Championship 4, earned his berth in the Round of 8 by winning at Talladega. Kyle Busch has made Martinsville Speedway his personal playground in his last few races there. In his past four starts at Martinsville, he finished fifth or better. 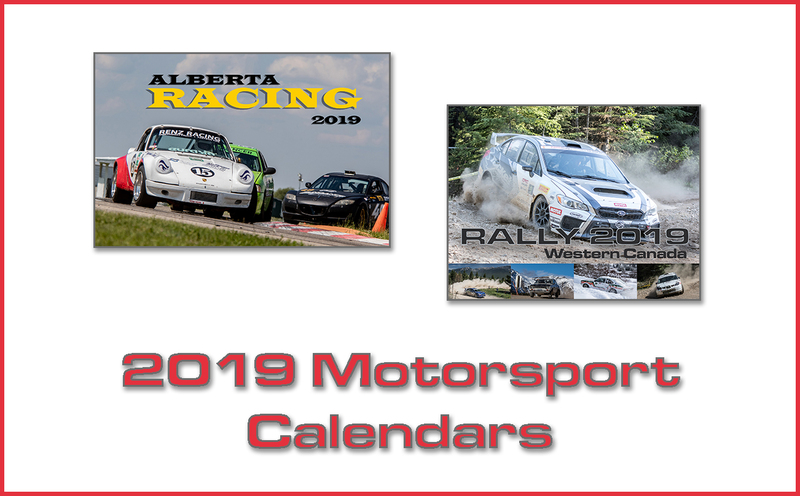 He led a race-high 352 laps to win its 2016 spring race and paced the field for an event-high 274 laps on his way to a runner-up showing in this April’s contest. Overall, Busch owns one win, 12 top fives, 13 top 10s and a 13.6 average finish in 24 career starts at Martinsville. Among active drivers, he ranks third in Martinsville average running position (11.6) and driver rating (101.1). Busch has advanced to the Championship 4 the last two seasons. He won the Monster Energy NASCAR Cup Series title in 2015 and finished third last year. Jimmie Johnson leads active Monster Energy NASCAR Cup Series drivers with nine wins at Martinsville Speedway – four more than Denny Hamlin who has the second most victories at “The Paperclip.” He’ll attempt to extend his wins lead by defending his fall victory from last year at Martinsville. Johnson’s win placed him in the Championship 4 race at Homestead-Miami Speedway, where he took the checkered flag to capture the series title. If he visits Victory Lane on Sunday, Martinsville would become the second track where he has double-digit wins (Dover, 11). In addition to his nine wins, Johnson has 19 top fives, 24 top 10s and a series-best 7.5 average finish at Martinsville. He also leads active drivers at the Southern Virginia track in driver rating (116.9) and average running position (8.0). Virginia’s own, Denny Hamlin, has five wins at Martinsville Speedway – second among active drivers. A sixth victory in Sunday’s First Data 500 would earn him a berth in the Championship 4 race at Homestead-Miami Speedway. The Chesterfield native currently sits three points below Kevin Harvick on the cutoff line to the Championship 4 race. In addition to his five Martinsville wins, he claims 12 top fives and 17 top 10s. He ranks second among active drivers in Martinsville average finish (10.1), average running position (9.8) and driver rating (106.6). Hamlin enters the Round of 8 coming off a strong second round of the Monster Energy NASCAR Cup Series Playoffs where he finished sixth or better in his last three starts. Chase Elliott has upped his performance in The Monster Energy NASCAR Cup Series Playoffs and is knocking on the door of his first win. Through seven Playoff races, Elliott has racked up three runner-ups and has a low finish of 16th at Talladega. He enters Sunday’s race at Martinsville coming off a fourth-place showing at Kansas. The Round of 8 sets up well for Elliott if he can repeat his performances at the track from earlier this season. In the April race at Martinsville, Elliott finished third and led 30 laps. At Texas, he placed ninth after starting 33rd. He led 106 laps on his way to a 12th-place finish this spring at Phoenix. Three drivers remaining in the Monster Energy NASCAR Cup Series Playoffs rank in the top four in active short track victories. *Martinsville win totals are marked in parentheses. *- Chart Colors: Green (in position to advance); Orange (in position to be eliminated); Red (eliminated from Playoffs). Next up on the Playoff schedule is Texas Motor Speedway (Nov. 4). Here are the Round of 8 Playoff driver’s average finishing positions at Texas – Cole Custer (5.0), William Byron (7.0) Elliott Sadler (9.4), Justin Allgaier (11.0), Matt Tifft (12.7) Ryan Reed (14.9), Brennan Poole (19.2) Daniel Hemric (32.0). Series Pole Winners Aplenty: Not only has the NASCAR XFINITY Series seen a myriad of different winners this season, it has also produced 17 different Coors Light Pole Award winners, which is tied with 2012, 2007, 1990 and 1989 for the fifth-most different pole winners in a single season. The top four seasons with most different pole winners are 1998 (24 pole winners), 1995 (21), 1991 (20) and 2009 (18). Sunoco Rookie of the Year Update: William Byron continues to lead the NASCAR XFINITY Series Sunoco Rookie of the Year standings by 41 points over second-place Daniel Hemric following the 30th race of the season (Kansas). Sunoco Rookie of the Year Standings – Byron (293), Hemric (252), Cole Custer (237), Matt Tifft (208), Spencer Gallagher (139) and Ben Kennedy (134). Four of the six rookies this season are in the NASCAR XFINITY Series Playoffs Round of 8. 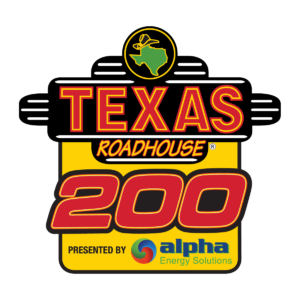 After the off-week, the 2017 NASCAR Camping World Truck Series Playoffs heads to Martinsville Speedway to begin the Round of 6 with the Texas Roadhouse 200 Presented By Alpha Energy Solutions on Saturday, October 28 (1 p.m. ET on FS1, MRN and SiriusXM NASCAR Radio). Reigning NASCAR Camping World Truck Series champion Johnny Sauter is the defending race winner and proved to be a title-contender in last year’s race. John Hunter Nemechek (third-place finish) and Christopher Bell (fourth-place finish) both finished inside the top-five at Martinsville last year. There is no arguing Christopher Bell is having a stellar season that could result in a 2017 NASCAR Camping World Truck Series championship. Through 19 races this season in the No. 4 Kyle Busch Motorsports Toyota Tundra, Bell has five wins, 13 top-five finishes and 17 top-10 finishes. He’s led 739 laps. With four races remaining in Bell’s 2017 championship campaign, he already has more wins, is tied for top fives, is second in laps led and has the best average finish of the last five NASCAR Camping World Truck Series champions through their complete seasons. Bell will look to advance to the Championship 4 at Homestead-Miami Speedway and has three chances to do it, beginning with this week at Martinsville. Last season, Bell finished fourth at Martinsville, 11th at Texas and seventh at Phoenix to advance to the Championship 4 at Homestead. 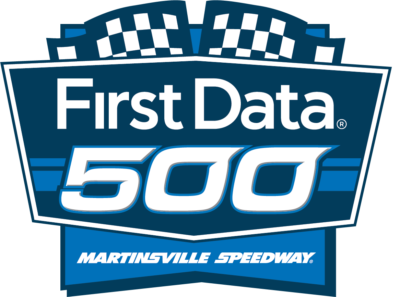 Racing At Martinsville Speedway – Advantage, Veterans? NASCAR Camping World Truck Series former champions Matt Crafton (2013 and 2014) and Johnny Sauter (2016) appear to have the veteran advantage at Martinsville Speedway. Crafton owns multiple track records at the 0.526-mile track. He has the most NASCAR Camping World Truck Series starts (31), top 10s (18), lead lap finishes (27) and laps completed (6,915). He has two wins there (fall 2015 and spring 2014) and eight top fives. Sauter is equally as impressive. In 19 NASCAR Camping World Truck Series starts at Martinsville, Sauter has three wins (most among active series drivers), seven top fives and 10 top 10s. He’s led 398 laps, which is the most among active NASCAR Camping World Truck Series drivers. Between Crafton and Sauter, the two combined for at least one NASCAR Camping World Truck Series win at Martinsville over the last four seasons. Sauter’s other Martinsville Speedway win came in 2011 when he won the Keystone Light Pole and the NASCAR Camping World Truck Series race. Both Crafton and Sauter will be looking to win at Martinsville and punch their ticket to the Championship 4. 1. Christopher Bell: The top seed heading into the Round of 6, Christopher Bell has been the top of his class this season. His five wins this season are the most in the NASCAR Camping World Truck Series. He has led a season-high 739 laps and has 13 top fives and 17 top 10s in 19 starts. 2. Johnny Sauter: Last season’s NASCAR Camping World Truck Series champion Johnny Sauter is gearing up for another strong championship run this season. He has two wins on the season and has yet to finish outside the top 23 all year. The next two NASCAR Camping World Truck Series Playoffs races in the Round of 6 are at Martinsville and Texas. Last year’s winner at both? Johnny Sauter. 3. Matt Crafton: Two-time NASCAR Camping World Truck Series champion Matt Crafton has quietly been flying under the radar this season. His lone win of the year came unexpectedly at Eldora as Crafton is known for being a 1.5-mile paved track master. Since the Playoffs began at New Hampshire, Crafton has three-consecutive top-10 finishes. Martinsville and Texas are both places where Crafton has visited Victory Lane. 4. John Hunter Nemechek: John Hunter Nemechek survived Talladega to advance to the Round of 6 and now will look for a way to continue advancing. Nemechek has two wins this season and just finds ways to get it done when he needs to. He’s led 100 laps this season and has seven top fives and 10 top 10s. 5. Ben Rhodes: Ben Rhodes impressively captured his first career NASCAR Camping World Truck Series victory at Las Vegas Motor Speedway in the Round of 8. Now, Rhodes will look for an opportunity to get to Homestead. Ranked fifth in the NASCAR Camping World Truck Series Playoffs standings, Rhodes finished top-20 or better at Martinsville, Texas and Phoenix last season. Will that be enough to get him to Homestead? Rhodes has six top fives this season, with 11 top 10s and has led 160 laps on the year. 6. Austin Cindric: Austin Cindric is the only remaining NASCAR Camping World Truck Series Sunoco Rookie left in the 2017 Playoffs field. Since the Playoffs started, Cindric has proved he belongs with the rest. He has finished in the top eight or better in all three races so far and will look to continue that in the Round of 6. He has six top fives this season and 12 top 10s. He has not finished outside the top-15 since Texas in early June. As the NASCAR Camping World Truck Series begins its Round of 6 at Martinsville Speedway this weekend, below is a look at the remaining NASCAR Camping World Truck Series Playoffs rounds and which tracks line up per round. NASCAR Camping World Truck Series Etc. No Rookie Stripes For These Sunoco Rookies: All nine NASCAR Camping World Truck Series Sunoco Rookie of the Year contenders have made previous series starts at Martinsville Speedway. Chase Briscoe (11th), Wendell Chavous (23rd), Austin Cindric (21st), Cody Coughlin (19th), Grant Enfinger(17th), Stewart Friesen (25th), Noah Gragson (fourth), Kaz Grala (15th) and Justin Haley (26th) raced in the Alpha Energy Solutions 250 at Martinsville Speedway earlier this season. NASCAR Next Drivers Looking To Play Spoiler At Martinsville: NASCAR Next and NASCAR K&N Pro Series drivers Todd Gilliland and Harrison Burton will both be racing for Kyle Busch Motorsports this weekend at Martinsville Speedway. Gilliland will be in the No. 46 Toyota Tundra, while Burton will be in the No. 51 Toyota Tundra. Gilliland scored a career-best finish (third) at New Hampshire earlier this season, while Burton has a string of top-20 finishes in his five NASCAR Camping World Truck Series starts this season. NASCAR Camping World Truck Series Owner Standings Update: Kyle Busch Motorsports’ No. 4 Toyota Tundra leads GMS Racing’s No. 21 Chevrolet Silverado by a narrow 20 points in the NASCAR Camping World Truck Series owner standings after 19 races this season. Kyle Busch’s second entry, the No. 51 Toyota Tundra (-25), ThorSport Racing’s No. 88 Toyota Tundra (-33) and NEMCO Motorsports’ No. 8 Chevrolet Silverado (-35) round of the top five. NASCAR Camping World Truck Series Manufacturer Standings Update: Through 19 NASCAR Camping World Truck Series races this season, Toyota leads Chevrolet by 42 points in the manufacturer standings, 713-671. In third place, Ford sits at 602 points.